JustDrive There | Living the Automotive life! It was in 2015 that the “fracas” happened. Jeremy Clarkson, the most famous automotive journalist in the world and star of the BBC’s Top Gear, got angry at some food and punched one of the show’s producers. This tends to happen often in TV, I believe, however, ever since Top Gear kept getting in and out of hot water, the BBC decided it was enough and let go Jeremy Clarkson. His co-hosts Richard Hammond and James May then promptly left the show as well, and all three joined Amazon. This was perfect timing for Amazon, who was pushing for the creation of more original content, and needed big stars to animate its shows, to reach a world-wide audience. The rumours went wild for more than a year, but finally, in November last year, the first season of The Grand Tour aired. You know what? It was not that good. Don’t get me wrong, the car videos were great. That opening sequence was superb, and I did rewatch it multiple times. But overall, the show felt like there was no purpose. It clearly was not about cars, since there was not even one car review per episode. Clearly, that opening sequence with all the car enthusiasts in the desert was just a lie. It felt like Top Gear, albeit the later series Top Gear. The episodes you watched and forgot. Clearly, all this was a way for Clarkson, Hammond and May to spend a lot of money. Story? Not much. They just drove expensive press cars, or badly-made-for-comedy vehicles (made by a specialized company, not themselves, let’s not kid ourselves) wherever they wanted. Just like before, everything was scripted, only more so. Even the live-audience segments were bad, way over the top. The reason old Top Gear was good, was because it was a car-show, done in a comedic way. Here, they tried to make a comedy-show, in a car-related way. As funny as Clarkson Hammond and May are, acting is not their strong suit, and it showed. Just look up that Edge of Tomorrow bit with the military. It was just embarrassing. Maybe they’ll correct all this for next season, but based on historical evidence, I have my doubts. I honestly think that the Celebrity Brain Crash was done because they liked the idea of it, even though it was absolutely useless and not funny. We have to face the facts, Clarkson, Hammond and May are simply yesterday’s news. Just like Eiffel 65, they had one hit, and their time is now over. Which leads me on to actual Top Gear. The BBC, ever the smart people, decided to cast Chris Evans as the star of the new show. The man who paints all his Ferraris white, and never drives them, so they do not lose their value. Also he’s a morning-radio show host, part of the most hated people in the history of humanity. As expected, he crashed and burned. The reboot series was passable at best. It tried too hard to be and not be old Top Gear at the same time. It could have been halfway decent without Chris Evans. Thankfully he resigned, so the show could focus on the actual talent. And that talent was actually good! The co-host, now turned host, was Matt LeBlanc. Yes, Joey. It may sound weird to cast a 90s American sitcom star in a British motoring show, but Matt is what Chris Evans is not: a real car enthusiast. He actually drives his cars and knows how to appreciate the philosophy of the automobile. Chris Harris, the now co-host is a god among youtube car enthusiasts. His specialty? Driving fast, drifting and being entertaining. The man got to drift an F40 and F50 back to back, so he was always going to be a great addition. The last co-host was Rory Reid. Unknown to me, and most of the audience, he is a valuable addition to the group, bringing a more novice point of view to the cast (a bit like Richard Hammond back in the day). Watch him, and you can just feel his enthusiasm for the job, and it just works. For fun, here is a video of Chris Harris doing what he does best: Drifting expensive cars. In order to not have the same people all the time, the BBC chose to add “contributors” to the cast, in the form of Sabine Schmitz (the Queen of the Nürburgring) and Eddie Jordan (he of F1 fame). Contributors are not new, the initial series of Top Gear (pre-2002) regularly had them. Last series they were good, and this series we have yet to see what they do. The Top Gear reboot with Chris Evans was passable for many reasons. The main reason it was not actually good was that they constantly tried to copy the old format, to no avail. Top Gear worked because of the relationship between Clarkson, Hammond and May. Chris Evans does not have any relationship with anyone, therefore it all felt awkward. 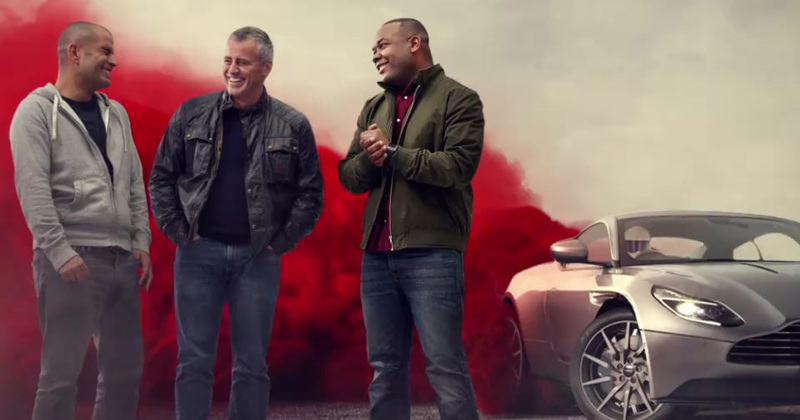 With the reboot of the reboot (sans Evans), also known as Series 24, you can feel the relationship between Matt LeBlanc, Chris Harris and Rory Reid develop. They work together and have genuine fun. In just two episodes there have already been numerous occasions where clearly things went off-script, and the show is better off as a result. The flow between the cast seems more natural, making it more watchable. But this time, the BBC were smart and did not put the emphasis on the hosts. The emphasis now, is the cars, and that is what Top Gear should be about. This time you actually get car reviews, you actually learn stuff on the cars, and the challenge parts feel genuine. 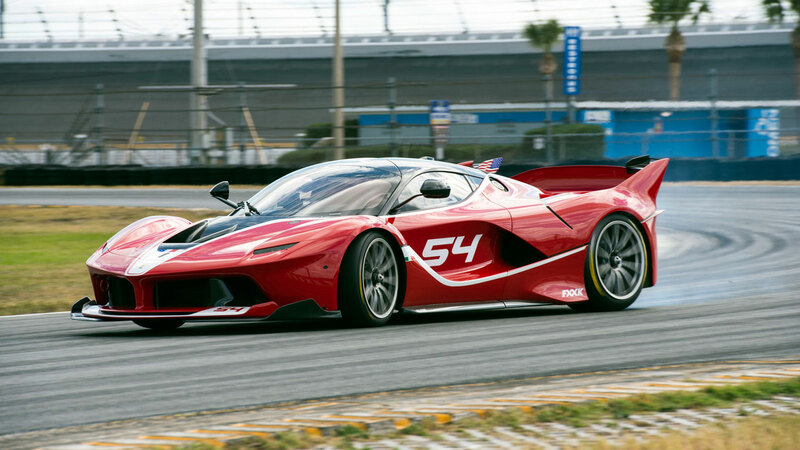 Just watch that first episode review of the Ferrari Fxx K. Is it about Harris? No, it’s about the car! 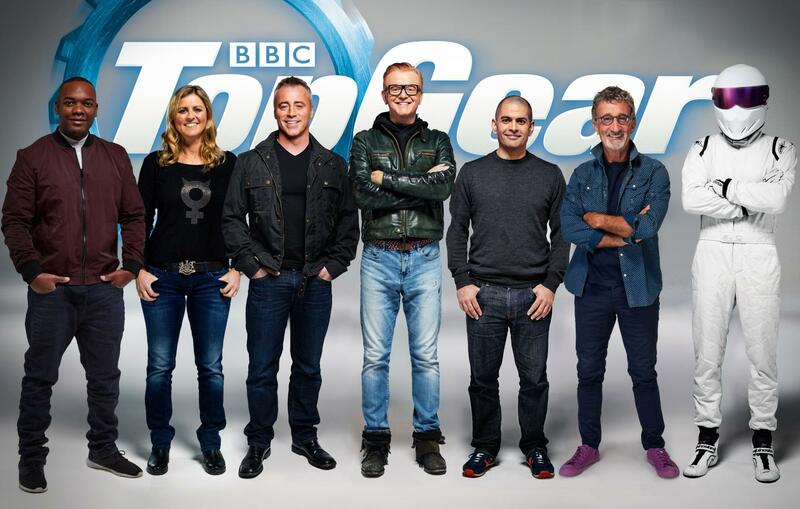 They are not trying to be like old Top Gear, they are just being Top Gear. After two episodes, I really like the show. 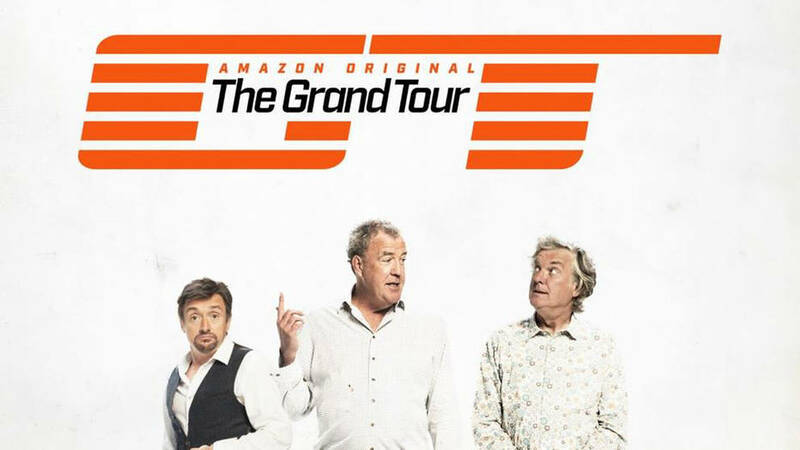 I plan to rewatch the episodes, which I cannot say of the Grand Tour. The cast has chemistry, the challenges have a point, and the humour does not feel forced. It’s all about having fun. It reminds me a bit of the later Top Gear USA episodes, when they left the UK carbon copy format and did their own thing. And it just worked. Sure, Top Gear will no longer appeal to 12 year olds and middle-aged women, but the core fans, those who felt left out by The Grand Tour, will be happy. After all, Top Gear was always about CARS, first and foremost. I’ll be honest, I’m not a big fan of motorcycles. I’m a car guy, I like to have my four wheels on the ground. However, I have to admit, there is a certain charm to motorcycles. In terms of engineering, styling and performance, they are very appealing. I get why people are into them. This year, I decided to visit the Montreal Motorcycle Show to see how it compared to the Montreal Auto Show, and I was pleasantly suprised. Though not as big as the Car show, the Motorcycle show had a great charm to it. You could definitely feel the passion out there, and best of all, almost all the motorycles were attainable (you could get on them, and the prices were not sky-high). To get an idea of what type of motorcycles you can find at the show, here is just a sample of some of the most interesting examples on display. As you can probably tell, I’m not used to photographing motorcycles nor am an expert on model names so bear with me. If you want to know more, the Montreal Motorcycle Show usually runs in mid-February each year. Even Bikes can do drag races! Ever wondered what a motorcycle engine was like inside? Fun game of Guess the Car! A few months ago, I teased the fact that I wanted to buy a car, since I wanted to drive. Canada is the second biggest country in the world, with some of the longest roads and the most diverse terrain. Sure, I live in the city, but whatever. So why did I get it? In one word: Canada. Think about it, when you go up North, where it is cold and icy everywhere, what do people drive? 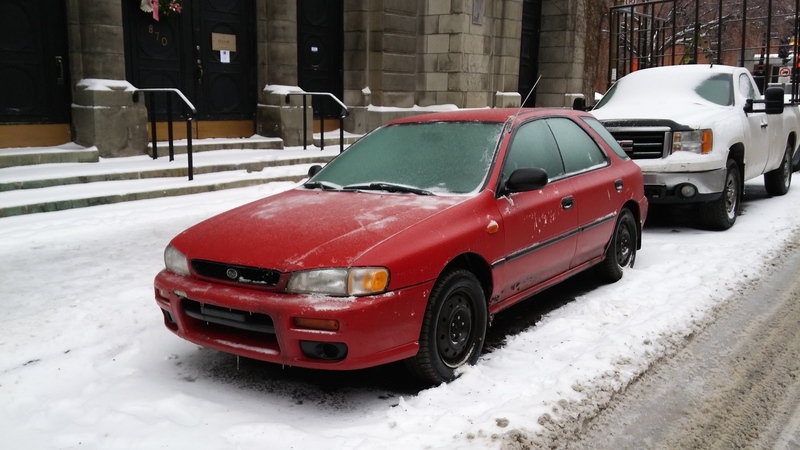 So in June last year, I was the happy owner of a non-running 1998 Subaru Impreza 2.2l (EJ22 to the connoisseur) Wagon. Automatic. In delightfully basic Brighton trim. Oh, and the colour was Brilliant Red (no joke). I can hear you asking, but why? Again, because this is Canada. 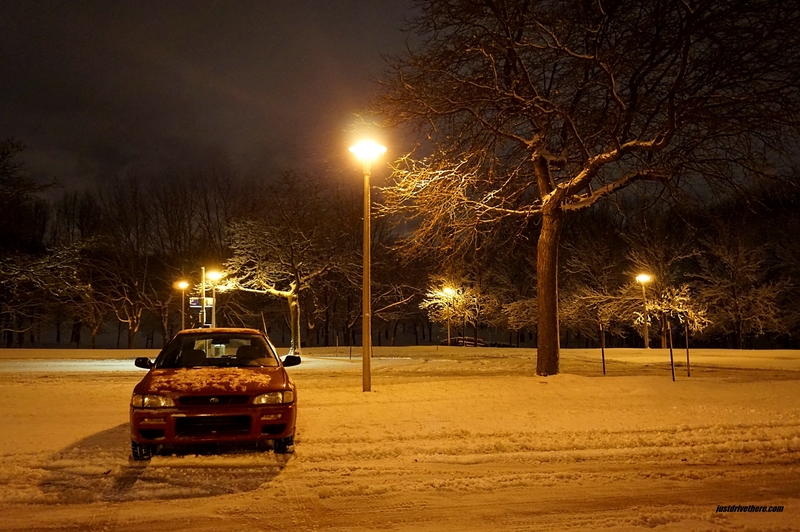 For instance, here is my car, one random day in December. Here it is again, another random day in December. 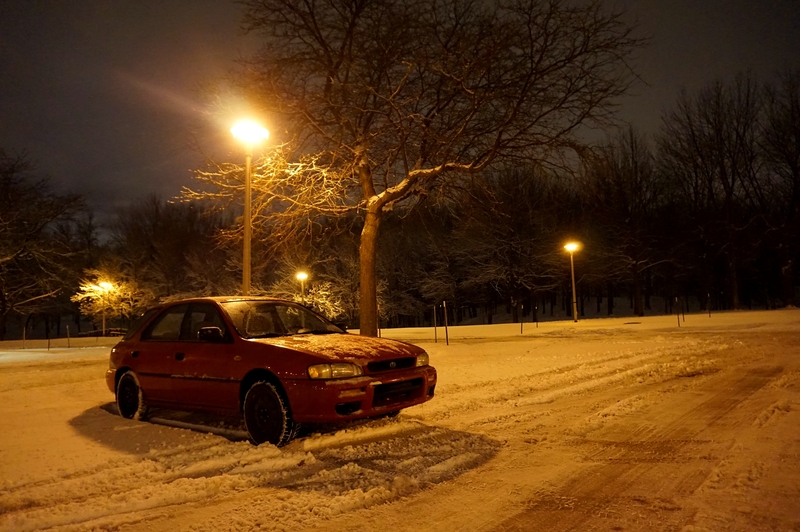 To be completely honest, I really wanted an AWD car, since I have never driven in real winter conditions before, so I preferred to play it safe. And the little Impreza Wagon plays it safe. No speeding, just cruising. No canyon carving, just delightfully enjoying the countryside. 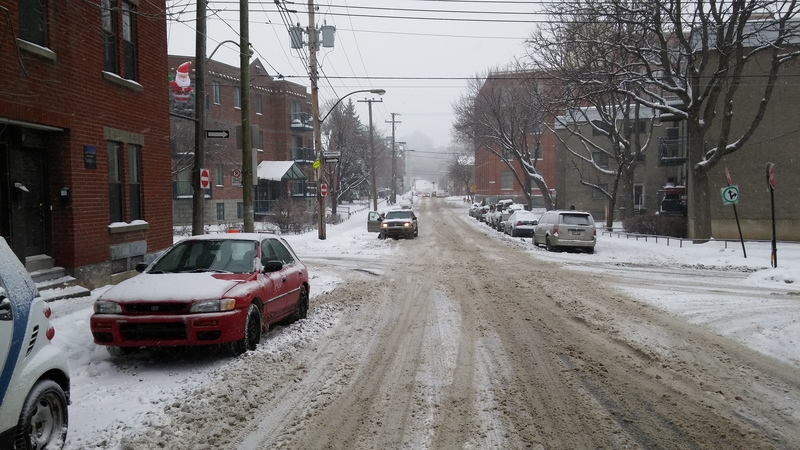 You see, in Canada, especially Quebec, they love to put salt on the roads to avoid icing. It sounds like an intelligent decision, but it wreaks havoc on your cars! Case in point, my little Red Subie. Mechanically, in pretty good shape, even with 245,000kms. It starts everyday, no fault, drives 400kms per week without an issue, and the heater works a treat. And yet, I find myself concerned about the level of water-proofness of my car. You see, when I got the car, it had a roof rack, which was screwed in the roof. What happens 18 years later? Many holes in the roof, some as big as a tennis ball. Not good. Another example would be inside the rear wheel arch. The metal in that area is a little thinner compared to the rest. After 18 years? A big gaping hole that sends water in the rear passenger footwell. It’s annoying, but looking around, I’m not alone. 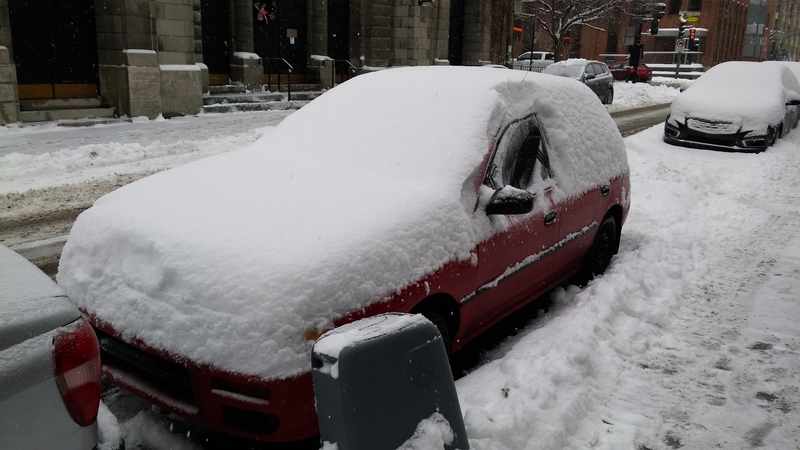 Most cars in Quebec that drive all year, for over 15 years tend to have these issues. Seeing a car with literal holes in the doors is not a rare sight. Each time I mend a hole on the Subaru, I find another one. It kind of puts me down, because I love driving older cars. If those older cars end up full of holes, its no longer fun to drive them. And from what I’ve seen, Subarus are just as bad as all the others. With this amount of rust on my car, any sane person would trade up for something else. Maybe something newer, with more rust protection. There is something about the little red wagon. First of all, that engine. The flat-four boxer engine is something else. I get why people swear by them. Sure, the engine is not very powerful, but after 3,000rpm, it loves to roar! Honestly, with the stock exhaust, it does sound a bit like a V8. What is not to love in that? And I haven’t even mentioned the best part: All. Wheel. Drive. When the snow’s out, people tend to stay at home, in the warmth. Not me. I go Subaruing (from the Greek, Subarua, meaning, purposely finding snow and ice, in order to slide around and have an amazing time). 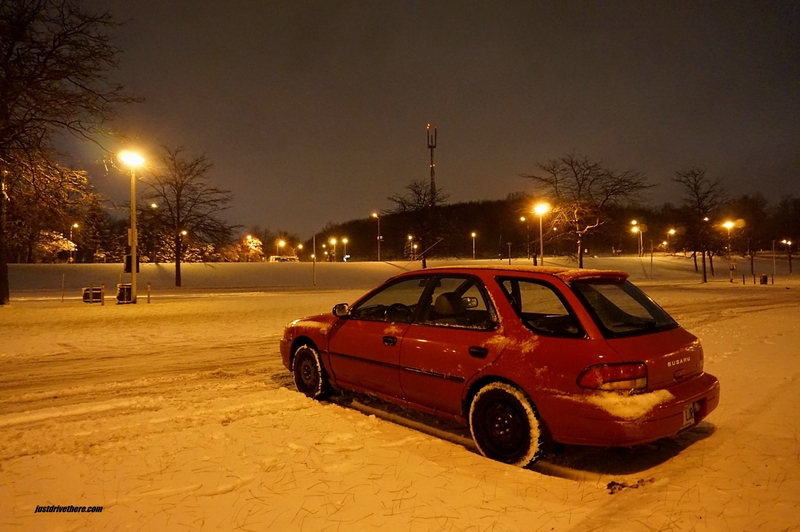 Honestly, I have had some great fun with the little Subaru, and I have not even taken it on an ice track yet! It just is so hilarious, you feel like a rally driver in the snow. It makes me smile. I just love driving it. So yes, driving it everyday is probably not the best idea. The rust just keeps growing, and there are some concerning sounds that appear from time to time. But I learnt mechanics on it, and I am going to continue working on it. Will I keep driving it everyday? Not for long, I will probably get something newer for the daily commute in the future. But the Lil’ Red Wagon will continue with me, probably rallying. It’s early Sunday morning. I can’t sleep and I’m bored. I live in an apartment building and soundproofing wasn’t part of the architect’s or the developer’s plan. I don’t want to turn on the TV and wake up half the building. Last thing I need is some irate neighbor banging on my door. So, I’ve got to move, in more ways than one. I decide to go for a ride and check out a 20 miles stretch of highway that has been repaved. 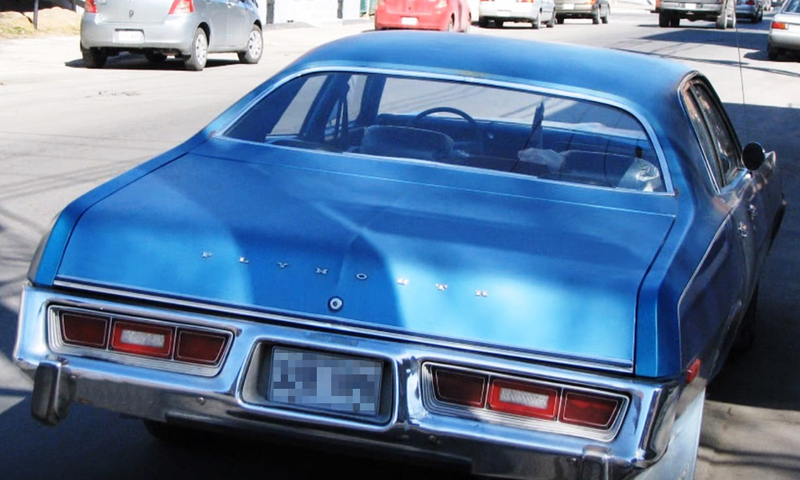 I get in my two-tone blue, 1976 Plymouth Fury and slowly drive away. It has a 360cid motor with a 4-barrel carburetor, and a great transmission. The highway is near my house and the drive is pleasant with nary a car on the road. When I reach the end of the new black top, I turn around to head back home. 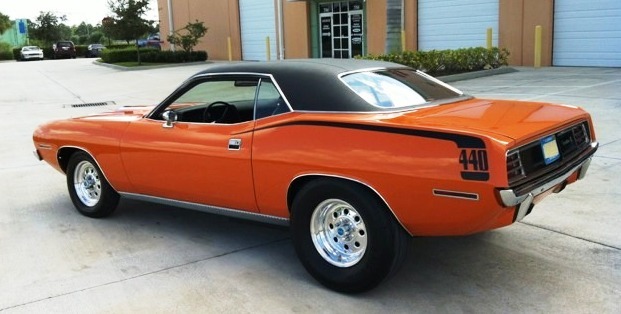 As I drive up the ramp to get on the highway, I see a bright orange Cuda or Challenger drive by. I could never tell those apart, but it has a black stripe with 440 on the side of the rear fender. I think to myself that I can take this 6-pack toting dude or dudette. When I was a teen, the older sister of one of my friends drove a Mustang Mach I and my aunt drove an AMX. I thought that they were the two coolest women on the face of the earth. Sorry mom, but the old Pontiac Parisienne just didn’t make the cut. Whoever is driving the 440 is wise to this wannabe. As I accelerate so does the driver of the orange car. Except for the two of us, the highway is clear. No time to enjoy the scenery now. I grab the steering wheel a little tighter with both hands. 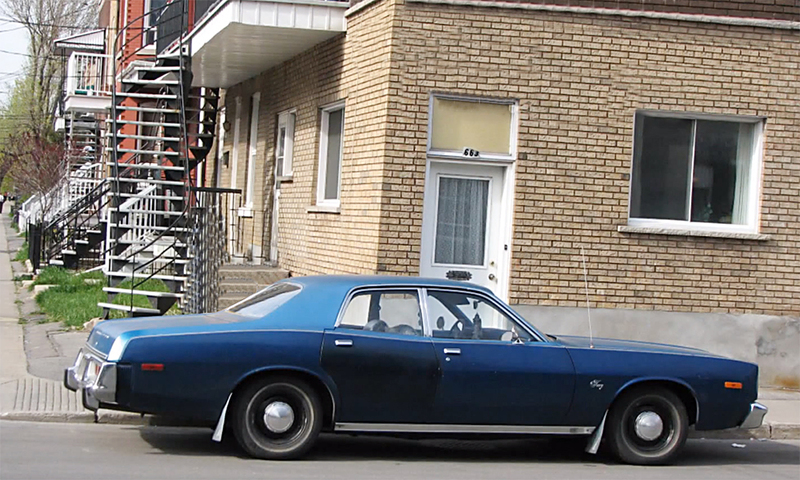 I feel like inspector Frank Bullitt pursuing the ’68 Dodge Charger. It doesn’t take long for the trees on the side of the road to zoom by. The anticipation of catching the prey is exhilarating, except the R/T I’m after doesn’t stop in between takes to retrieve hubcaps that have popped off on the hilly streets of San Francisco. Unlike the City by the Bay, our playground is flat and freshly paved. I become tenser as we get past the speed limit. What if a highway patrol car was hiding up ahead? Nah! It’s too early in the morning, especially on a Sunday. I’m getting hot under the collar, and I don’t know if it’s because of the speed or my disappointment at not being able to get closer to the orange muscle car. The numbers on the speedometer of the Fury stop at 120. I have reached 100 miles per hour and I still can’t catch up to the 440. My car has over 125,000 miles on the odometer and the temperature needle is creeping up faster than the speedometer needle, which is now past 120mph. But I’m young and foolish, so I press on. There is a pin at about 125mph. The speedometer needle is pressed against the pin. The miles zip by and the temperature needle is as far as it will go in the “H” domain. I still can’t get any closer to my prey and we are already nearing town. I know when I’m beat and I decide to stop the chase. Besides, I will have to exit soon, I rationalize, as if I couldn’t keep going. It takes a while for the speedometer needle to leave the pin and indicate deceleration. I reach my exit. I make it home and park the Fury. What was I thinking, taking on a car that displays 440 on its sides? Still, I’m happy in defeat because I gave it my all, and so did the car. Thank you, Mr. Chrysler for a not so boring Sunday morn. I get out of the car and for some reason look back as I walk away. My coming in second in a race of two quickly fades. I notice something odd about the front driver-side tire. It’s shaped like an S.
I make my way around the car only to realize that all the tires are like that. It turns out the fiberglass belted tires I have on are not rated for anything, especially not for speed. Now, I have to buy four new tires. Regardless, it was worth it. But I never did get close enough to see who was driving the 440. He or she must have had a good laugh at the pretender in the Fury. Sure, just a picture, but I am really proud of it. Also, a bit depressing, as it turns out my phone takes better pictures than my actual camera. 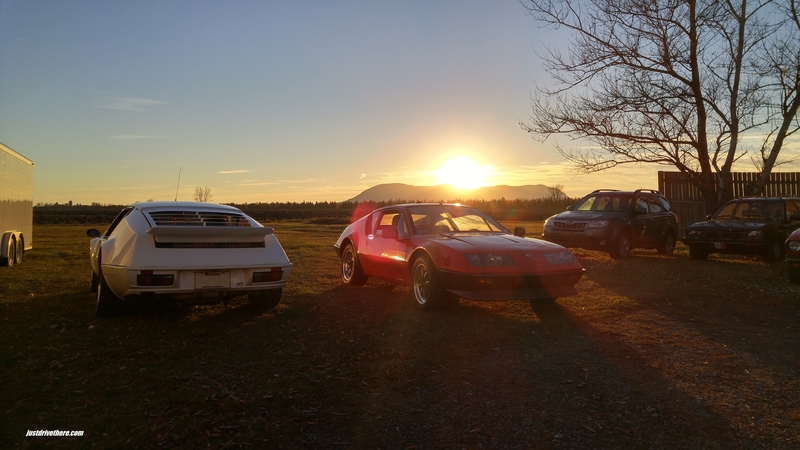 Two Alpine A310, a sunset, what else are you waiting for?